I love Launch Center Pro and Drafts. Apps that allow you to get more stuff done with less effort always make their way into my dock. I’ve been using a lot of apps on the Mac that have iOS counterparts like Things, Tweetbot and Reeder. I used all these apps on iOS before I did on the Mac. Keyboard shortcuts in Mac apps are extremely useful. 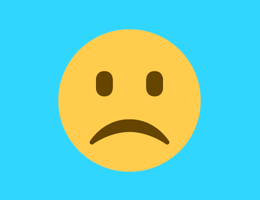 The problem is some apps have way too many keyboard shortcuts to remember and it becomes nearly impossible to remember everything in every app. This is where Actions by Usefool comes into the picture. 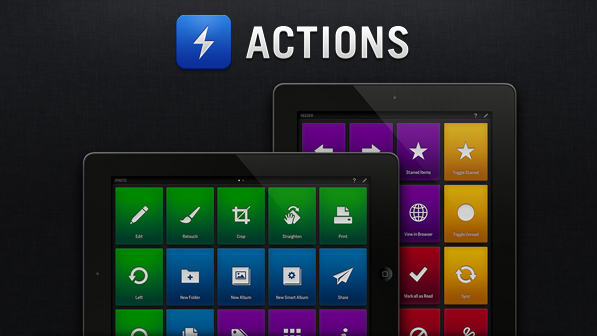 Actions lets you use your iPad for any keyboard shortcuts. It connects to your Mac or PC via an Actions server app available for free from their website. The app lets you add actions in a grid layout with nice big buttons captioned with beautiful glyphs. Also for lazy people (like me) the app has quite a few sets of actions available for anyone to add directly. The beauty of the app is in the set or action folder creating and switching. If you’re in Tweetbot for Mac, instead of pressing 3 keys to switch accounts, you can just add the combination to Actions and tap to do the same thing. Actions also switches the action set displayed on the iPad depending on app you are using. It can also switch apps for you easily. The main in app navigation is gesture controlled. Upon launch you are greeted with the set of actions for Finder and you can swipe down with three fingers to switch action sets. Common keyboard shortcuts and actions like copy, paste, undo and redo can be executed at any time within the app by two finger gestures. You can edit actions by tapping the edit button on the top right and view the help section at any time from the help button. Actions already supports apps like Reeder for Mac, Evernote, Chrome, iWork, Pixelmator to allow quick import of actions. You will need to manually setup actions for other apps. While this may seem like a daunting task, the action creation menu makes it beyond easy. You can choose the icon and colour for the tile/button and edit the title for it in a few taps. There’s also great snippet importing by pasting from your computer by tapping the arrow button on the snippet importer on your iPad. The shortcut composer already has buttons (with symbols) for command, alt, shift and ctrl with a popup keyboard that includes function keys. You can set the combination by tapping to highlight any of the keys here. Everything in the app has been designed really well and the sounds are a nice touch. Given how big the buttons can be made once you start using the app after configuring your favourite Mac app keyboard shortcuts, you will be able to get stuff done by tapping on your iPad without looking for the most part. Actions isn’t for everyone because I know many people would still prefer using actual keyboard shortcuts but it can be really great once you integrate it into your workflow. I just wish more common app keyboard shortcuts would be readily available as a set inside the app without having you set them up yourself. Usefool’s site teases an iPhone companion app as well. Actions for iPad is available on the App Store for $3.99 and is definitely worth getting if you don’t want to spend time remembering too many keyboard shortcuts for all your apps. There’s a nice video showcasing the app as well here for those who can’t see the video embedded above.